Finally, patio season has arrived! 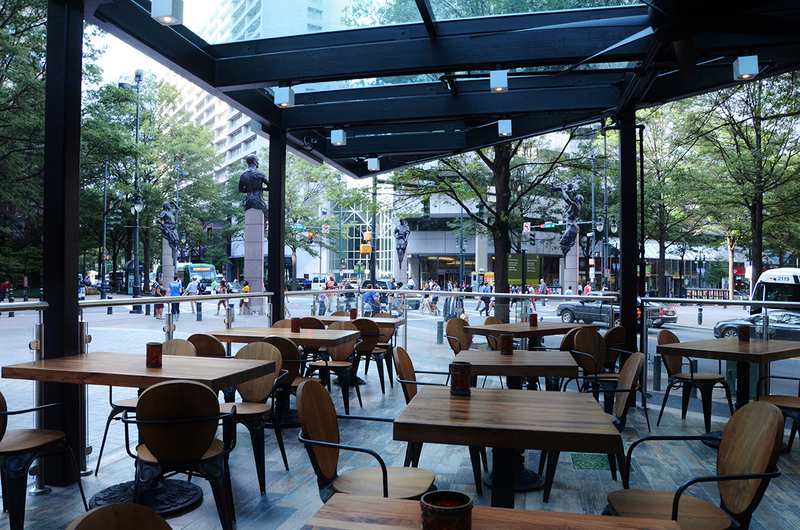 Are you new to Charlotte or just searching for the best patios? We’ve got you covered. Here are some of our favorites in Uptown Charlotte. This is one of our favorite spots to take any out-of-towner. 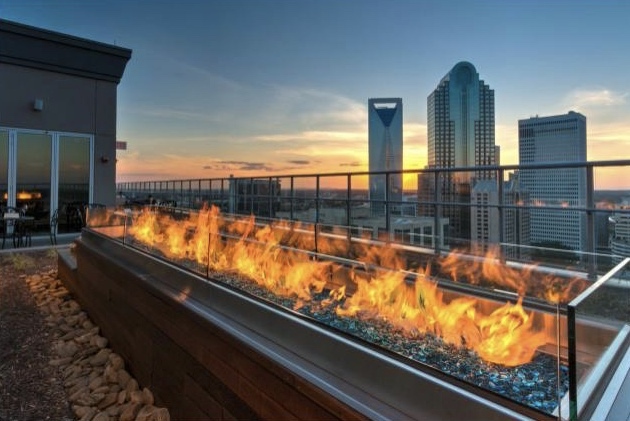 Located on the 21st floor, this restaurant and bar provides an incredible terrace with a view of the Charlotte skyline. 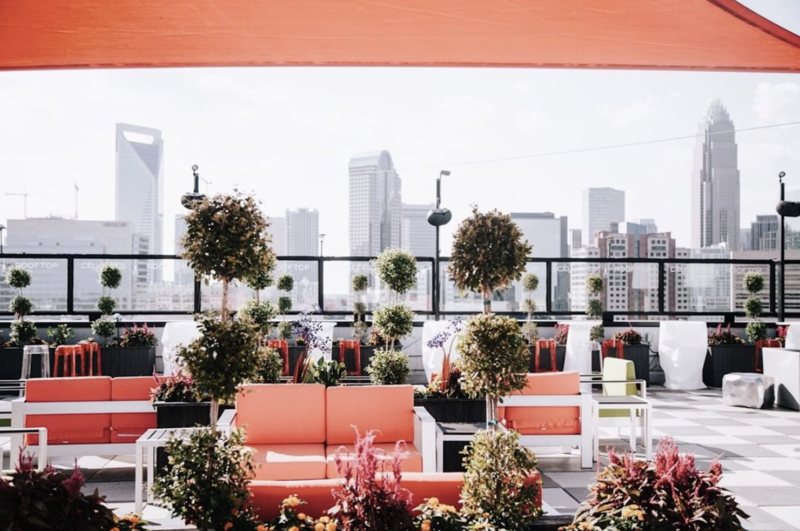 Located on the 18th floor of the Le Meridien hotel, this popular rooftop bar is one of the only places you can get a 360-degree view of the Queen City skyline. 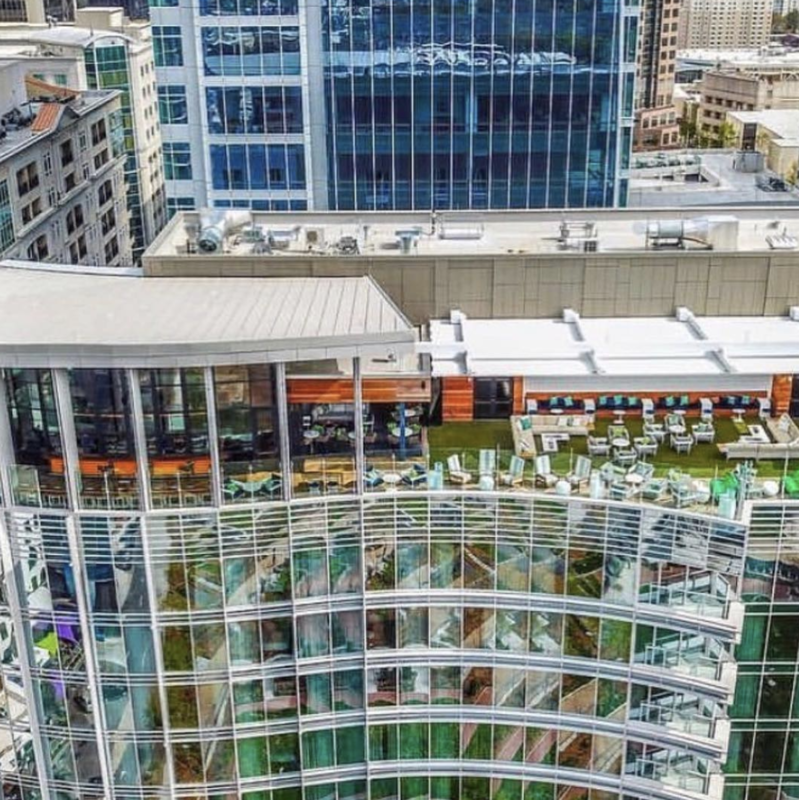 Located on the 19th floor of the Kimpton Tryon Park Hotel, this swanky rooftop lounge has modern furnishings and expertly crafted cocktails. The outdoor terrace provides you a great spot to relax while enjoying the panoramic view. Nuvole Rooftop TwentyTwo is a lounge and dining experience unlike any other in the city. 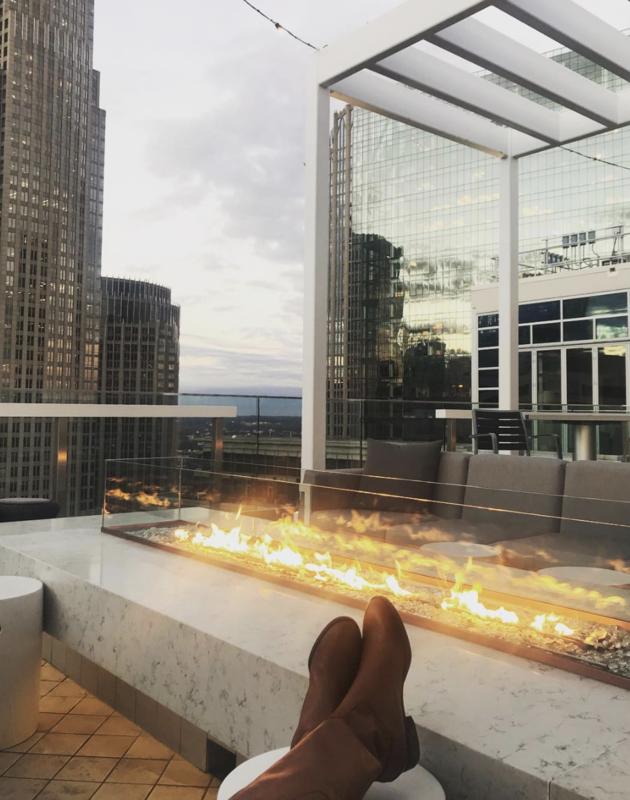 This sophisticated retreat in the heart of Uptown serves small plates and handcrafted cocktails while twenty-two stories high into the Charlotte skyline. 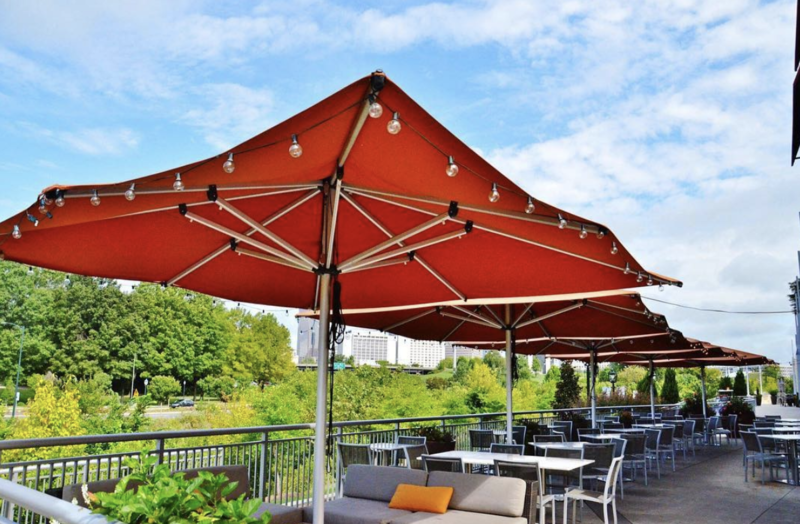 Tucked away in Midtown, this Italian restaurant is considered to have one of the best patios, with views of the Queen City skyline and greenway. 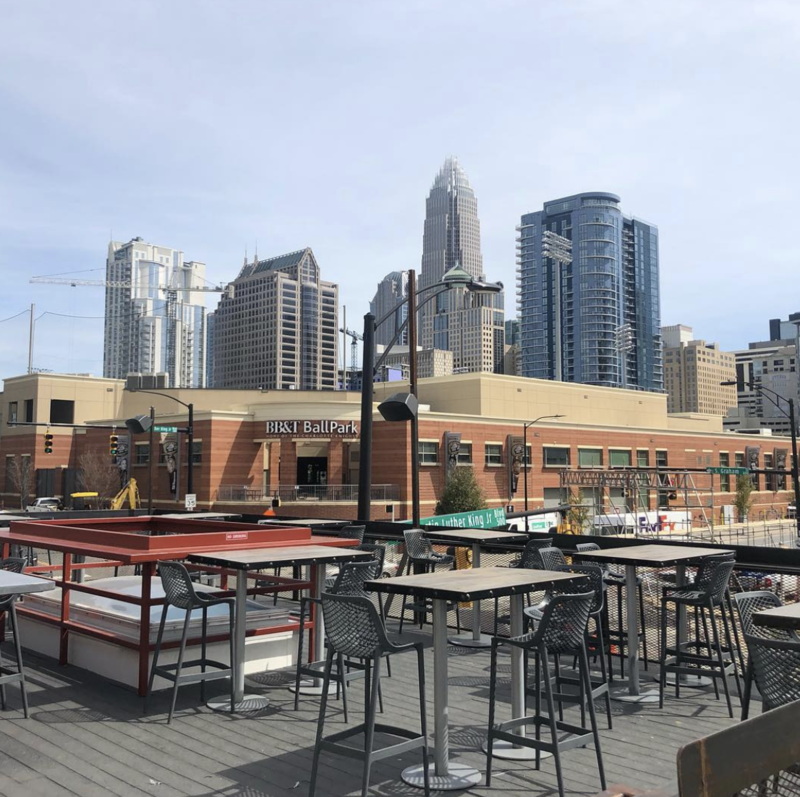 Known as an oasis in the heart of uptown, this casual sports bar is located between BB&T Ballpark and Bank of America Stadium, which makes it the perfect spot to pregame for a game. It not only offers skyline views but an eclectic menu of handcrafted cocktails and bites. This premium uptown craft cocktail bar and gastropub has one of the best patios, only steps away from the Spectrum Center.